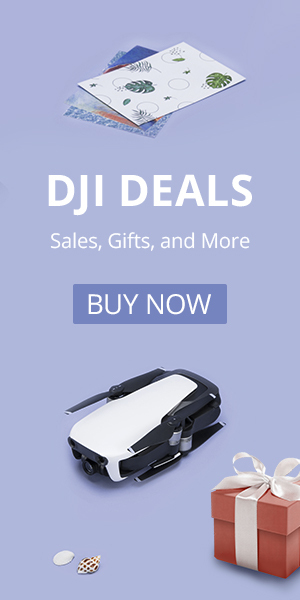 The Ryze Tello is an excellent drone. It is incredibly stable and has a solid camera. 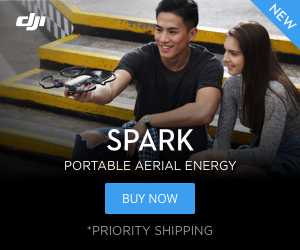 Its flight modes are something you’d expect to find on a much more expensive drone. It might just be the best drone under $100 that you can buy. For another solid review of the Tello check out this post on www.dronedj.com. All of the programming that I did was with the original Tello. However, Ryze has now built a Tello specifically with the programmer in mind. If you are serious about coding take a look at the Tello EDU. The Tello EDU takes everything we love about the original and adds more functionality and programming functions. The Tello EDU is the ultimate educational drone. One thing that sets the Tello apart from other drones is that you can program it using Scratch. Scratch is computer programming software that was developed at MIT and is easy to use. If you want to fly your drone using Scratch you’ll have to follow these steps. Check out our video below for a quick demo using both Scratch and Droneblocks to program our Tello. It takes some setup and in my experience was a little glitchy. I found programming using Droneblocks to be a better experience and more intuitive. You can learn how to do that here. However, if you are determined to do it here is the process. Ryze instructions can be found here, but they aren’t the best. Download Scratch. It is free and can be found here. Follow the instructions to download and install it. Download Node. It is free and can be found here. Go with the version that is recommended for most users. Follow the instructions to download and install it. Download the Tello files needed to run the code in Scratch. They are free and can be found here. They will show up as zipped files. You’ll need to extract or unzip them. You can do that by right-clicking. You’ll have to open the Node program that you just downloaded. Once it is open you’ll need to find where you downloaded the Tello files. It is likely that they are in your downloads folder. Node is a command prompt program. My files were in my Downloads folder, in a Scratch folder. In fact when I extracted them it created another Scratch folder. In order to run the command needed here is how I did it. Open Node. Type cd downloads. Type cd scratch. Type cd scratch. That allowed me to access the correct location. Then type: node tello.js. You’ll see the program run and you are good to go. Scratch is a programming language developed at MIT that is easy to learn. Open Scratch. Hover your mouse over file and press Shift. At the bottom of the menu you’ll see Import Experimental HTTP Extension. Click on that. Then you’ll open your Tello.s2e file that you downloaded. It too is likely in your downloads folder. You’ll need to connect the Tello to your computer in order for them to communicate. Turn on the Tello and then find its WiFi network on your computer. Connect to it. You’ll see the Tello commands appear in the More Blocks section. Drag and drop the commands you want the Tello to perform on the open box on the right. Using events to start landing and takeoff are highly recommended. Good luck and program away. These instructions appear to be wrong, starting with “Import Experimental HTTP Extension”. Actually, if one follows the links after “little glitchy” above, and downloads ‘Scratch 2″ [ NOT the Scratch Desktop from the link given, the Scratch 2 link is mid-way after scrolling down that page… ] then Shift-click on ‘File’ menu in the “Scratch 2 Offline Editor” reveals the “import experimental HTTP” option.